Erin's Creative Energy: I'm a Winner! A couple weeks ago Brittany (aka Pretty Handy Girl) had a giveaway over on her blog to celebrate her birthday. I was one of her winners! YAY! I love getting stuff for free, it's even more fun when I win it! So, this is what showed up in the mail yesterday. I totally thought I was only getting the primer, but Kilz was awesome enough to mail me some brushes too! They are a really nice quality brush too. Now, to carve out some time in my already busy schedule to start the projects that will be needing some primer. 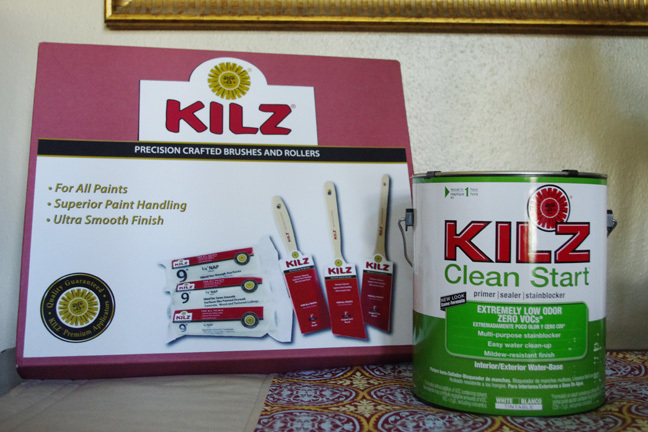 Thank you Brittany and thank you people at Kilz!